This exquisitely furnished and luxuriously fitted business center's stylish and high-tech décor is warmed with eucalyptus wood and set-off with stately art glass in the reception area. A wide range of office sizes and configurations accommodate small to large companies. State-of-the-art meeting facilities and a sophisticated coffee/lounge room set this center apart. A variety of meals, snacks and beverages are available to clients at the deli in the building. The site provides such premium facilities and professional services as spacious meeting rooms, high speed internet connectivity, conferencing facilities and more. 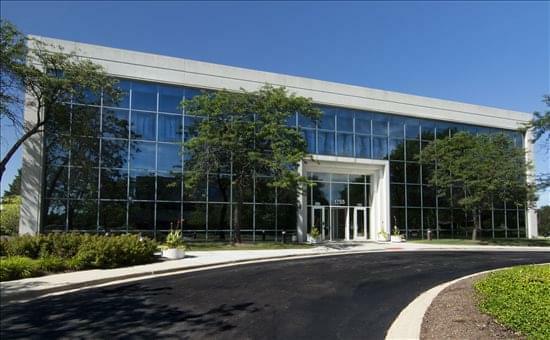 This center is located just off of I-88's Winfield Road exit with easy access to the Naperville area's restaurants, river walk, theatres and hotels. The Silicon Prairie area is also home to such companies as Lucent, BP/Amoco, Navistar, Tellabs and many other high-tech businesses. The locality's regional transport links are also excellent and provide a large number of convenient and frequent services in regular operation throughout the immediate surrounding and the wider parts of the area, making the building easily accessible.